Our Valery Dress is one of my newest creations. Made in fine soft tafetta, french lace and fully lined on the inside. 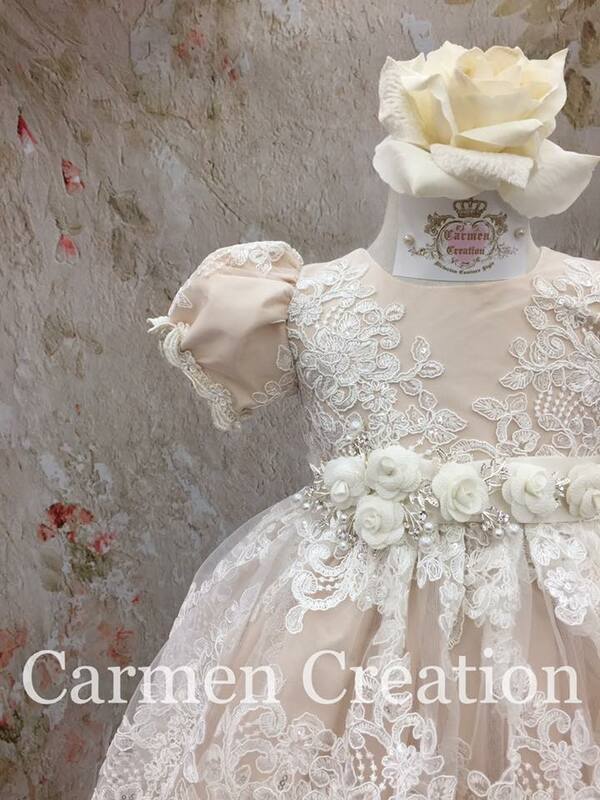 Dress features Victorian style lace and is adorned with diamond encrusted pearl buttons in the back. Dress is designed for children that walk.